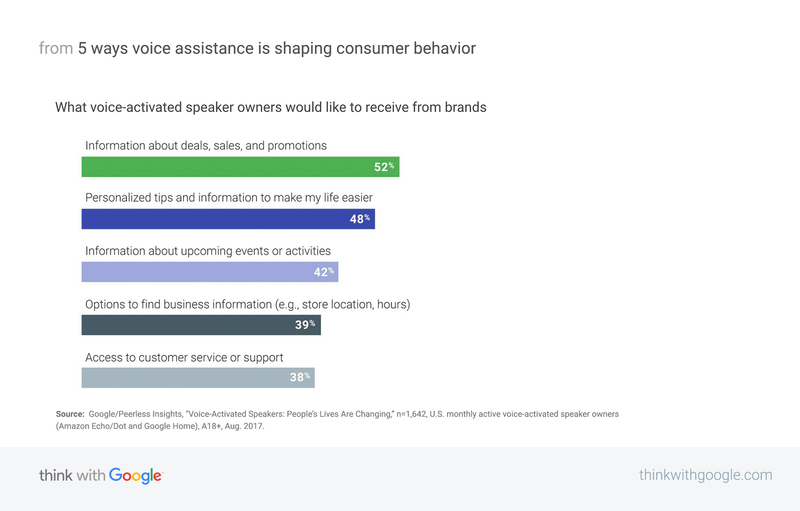 Voice-activated speaker owners told us that talking to their virtual assistant—rather than having to type—helps them get things done quickly and efficiently. And that means more multitasking. Here are the top reasons people turn to their voice-activated speakers. 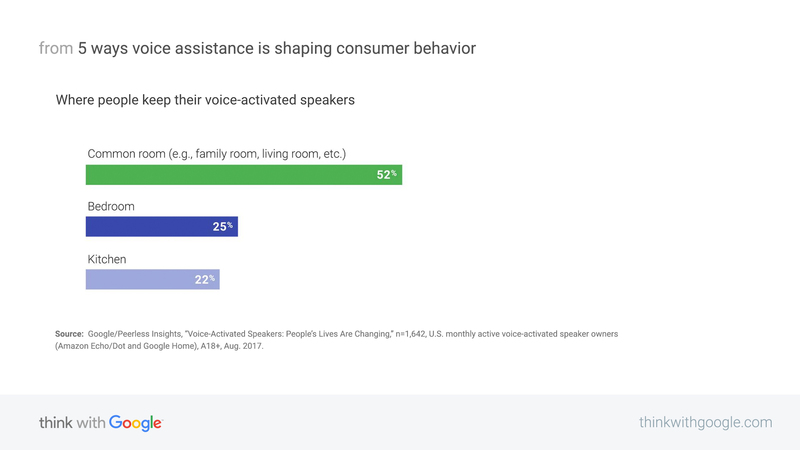 In a short period of time, voice-activated speakers have become part of people’s routines. Some of their daily habits, such as checking commute times and setting reminders for things to buy later, are now accomplished by talking to their virtual assistant. So long, handwritten notes. By revamping their routines, people are getting more done with less friction. People are engaging with their voice-activated speakers as if they were human. They’re saying “please,” “thank you,” and even “sorry.” People perceive the devices as more than just an electronic toy, they’re more akin to another person or a friend.